This Artistic Weavers Baramit runner infuses contemporary style into any room in your home. Keep the contemporary look in your home with this indoor/outdoor piece crafted from plush synthetic material. Comfort and quality come first in this hand-made rug. You and your guests will enjoy the lovely geometric pattern that decorates this blue rug. This modern Artistic Weavers Guzora Moss runner will instantly improve any room you place it in. Complete your home's contemporary design with this indoor/outdoor rug made of plush synthetic material. This rug is comfy, hand-made, and stylish. Make a bold statement with this floral plants patterned orange rug. Baramit Blue 2 ft. 6-inch x 8 ft. Indoor/Outdoor Transitional Runner This Artistic Weavers Baramit runner infuses contemporary style into any room in your home. Keep the contemporary look in your home with this indoor/outdoor piece crafted from plush synthetic material. Comfort and quality come first in this hand-made rug. 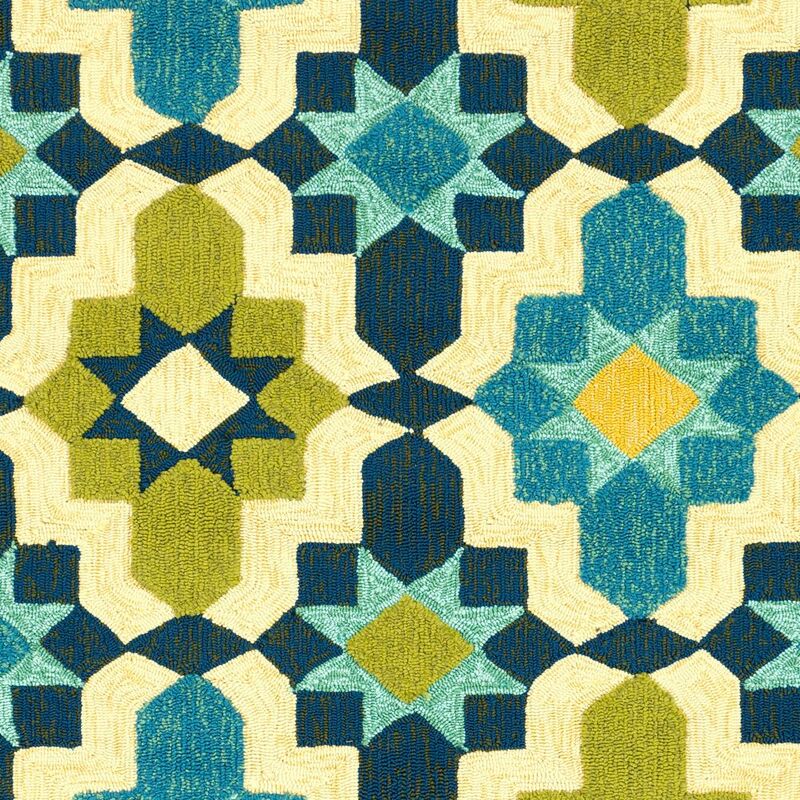 You and your guests will enjoy the lovely geometric pattern that decorates this blue rug.